Does the season tend to get overwhelming at times? 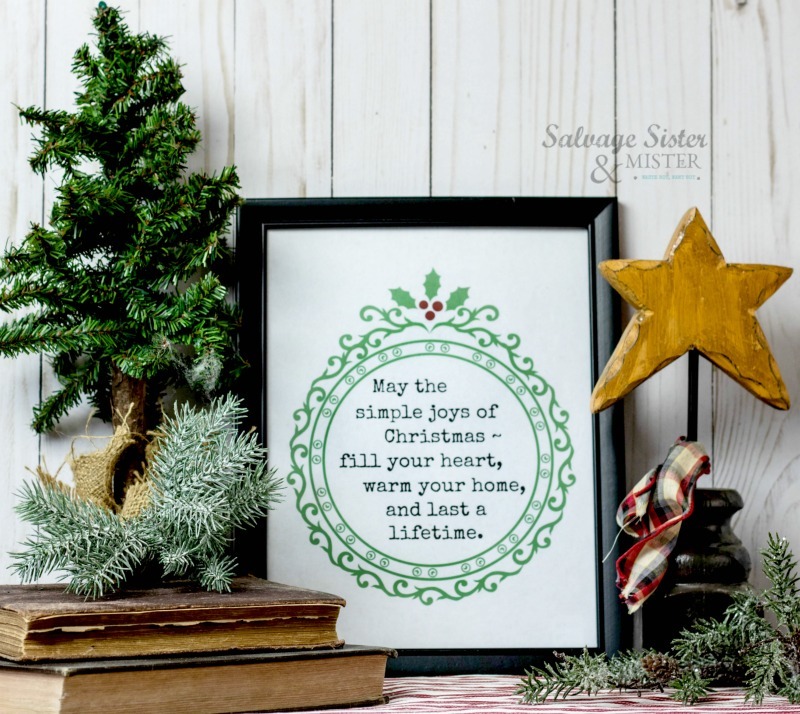 If yes, this free Simple Joys Christmas Printable is a great reminder of the things that matter most this holiday season. Sign up for weekly emails with ideas to salvage your time, money, resources, and moments for your best life and waste less along the way. 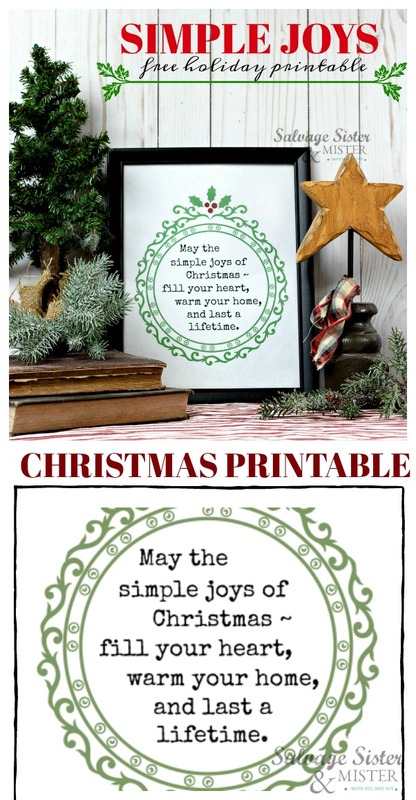 Plus, there is a FREE Printable only for subscribers. Holiday Lights Award Certificate to hand out to your neighbors who had the most amazing light display. And as the year is coming to a close, we want to take this moment to say thank you for being part of the Salvage Community. Whether you are here for the first time, or 100th time, we are honored you take the time to hang out with us. We look forward to sharing more salvage ideas and learning from you all in 2019. How can you join the tribe? First, subscribing is a great start. You can also share your pictures/posts to our Facebook Page and/or learn about a possible feature HERE. Finally, feel free to share this post, pin it, tweet it, or share to Facebook with the buttons above, but please don’t share the free download to others who have not signed up. This is our small business, and we can only continue with the help from our readers. Thank you! Hi Judi, I apologize for the difficulty subscribing. 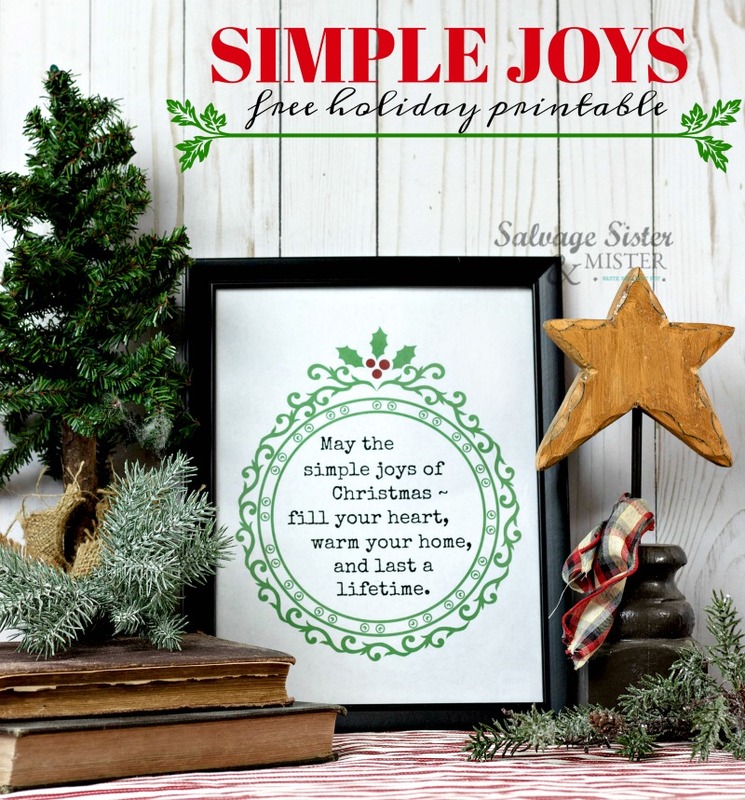 I have added you to the list manually and will email you the link to get the free PDF Printables, including the Simple Joys. Please let me know if I can be of further help and welcome to the Salvage Community. Hi Judi, I copy and pasted the email address that you gave and it is coming back as address not found via gmail. Is there a chance there is a typo? Yup-my email is not working too…………….enter and nothing. Can you fix me too? Hi Paula, It shows you were successful in signing up. I will send you an email with the printable info. It may have gone to your spam. What a beautiful reminder! Love it! !